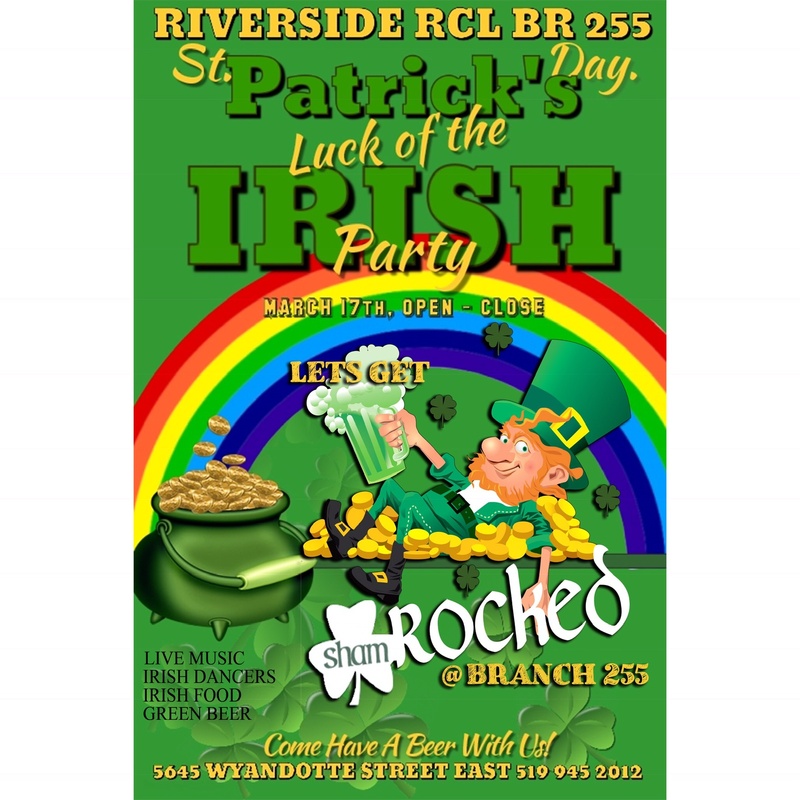 Get your Irish on and come out to the RIVERSIDE ROYAL CANADIAN LEGION BRANCH 255 St Patrick’s Day LUCK OF IRISH Party happening all day long on Sunday March 17TH from Open till close. We will be having The Emerald Isle Irish Dancers at 12:00 pm and the Arden Academy Irish dancers at 2:00 pm, #livemusic and so much more. It’s going to be a great celebration. Let’s all get SHAMROCKED @ BRANCH 255 !!!! EVERYONE IS WELCOME!!! Call 519-945-2012 for more info.